Many of the books on aran knitting referenced this book, and some hailed it as THE authority on the subject. So I went on a search for it, only to find that it was out of print and definitely a rare find. So rare, in fact, that to purchase one today would require purchasing one on e-bay or amazon.com for an average price of $250 (I saw one copy selling for $600). Stop wiping your eyes, ladies. You read that correctly. That's two-hundred-fifty smackeroos. 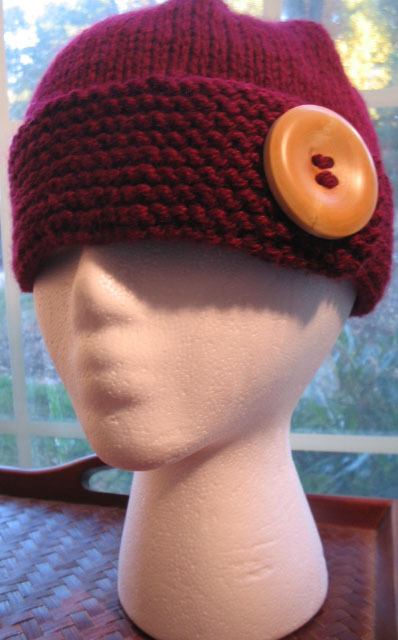 That's a hell of a mark-up considering that, when it first arrived on the knitting scene, it sold for $39.95. I'd read somewhere that it's out of print because the author had a dispute with the publisher, which resulted in the book not being published anymore. I don't know how true that is because I read it on a knitting message board. Now, if Bill Gates was my daddy-either "biological" or "sugar"-I would simply call him up and ask him to buy it for me. But I don't have it like that, so I decided to see if I could find it for free through my public library. It wasn't at any of the local libraries, so I requested it through interlibrary loan many months ago. I received an e-mail yesterday informing me that they FINALLY found the book. A little over two weeks after the article was turned in. Regardless of its lateness, I was so excited that I didn't know what to do with myself. You don't know what I've been through to finally be able to touch this book. I looked everywhere because I thought that no article about aran knitting would be complete without having read THIS book. I searched used bookstores and consignment shops, hoping that some fool knitter would have turned it in, not knowing what the book was worth. This was THE book that I've searched so long for. Written by a person who many consider to be THE authority on aran knitting. I thought, "Out of respect for the book, should I go home after work to change out of my jeans into a dress before picking it up from the library? Put on some make-up? Do I curtsy in its presence?" Ok, I'm being a bit dramatic. I went to the library in my jeans. I sat in my car and greedily read info about the history of Ireland's aran islands and aran knitting. 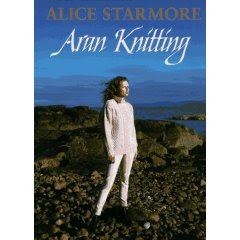 And the traditional aran sweaters that Starmore designed for the book? Classic. 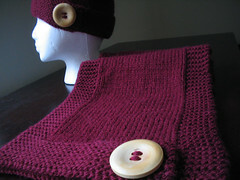 There is also a section in the back that tells you how to design an aran. Bill, er, Big Daddy? If you're reading this, can you spare $250?